Sapphire, Sarah's competition horse 2013/14. 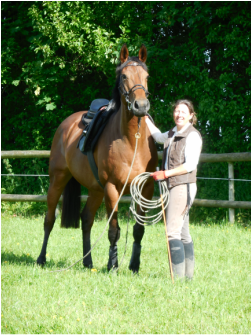 Sarah runs the Wiltshire based Suddene Park equestrian. She has worked with, ridden and played with horses and ponies since she was three years old. 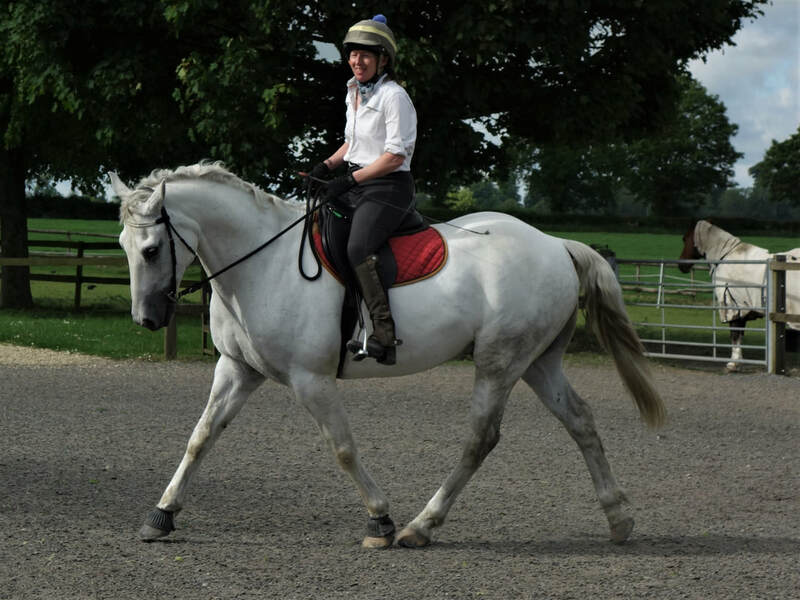 She has competed in dressage, showjumping and eventing, riding in teams and individually. An understanding and confidence giving instructor, she coaches at Suddene Park throughout the year. She has trained with Parelli in Colorado, Florida and Stoneleigh and until 2019, when she took the decision to focus purely on Suddene, was one of a handful of coaches achieving 3-Star Parelli Instructor status in the UK. She has a wealth of knowledge and experience to share in coaching horse owners and riders starting out or advancing their horesmanship journey. 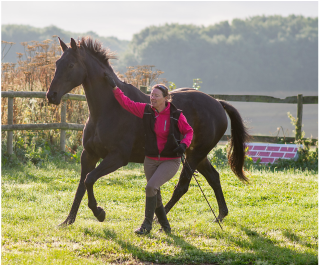 Her traditional riding background combined with more modern approaches to horses and riding means that she has exceptional understanding and empathy in how to make a huge difference enhancing any horse / owner relationship. and the Institute of Business Consulting. Qualified First Aider (BHS) & DBS approved.